(SCENE) Metrospace, 110 Charles St., will unveil its latest exhibit, “Residuum,” on Friday, April 19 from 6-9 p.m. Community members are encouraged to attend this free public opening. The “Residuum” exhibit focuses on the theme of memory. The exhibit was guest curated by Mandy Cano Villalobos, assistant professor of painting at Calvin College. The show will feature innovative works by artists Ann Chuchvara, Liz McCarthy, Soo Shin, Katie Short and Mandy Cano Villalobos. 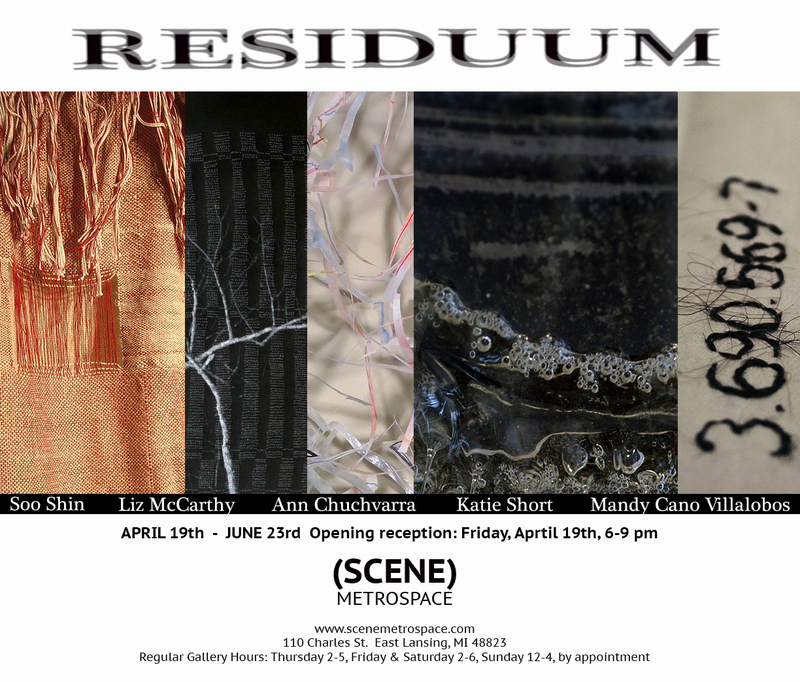 The “Residuum” exhibit will be displayed during (SCENE) Metrospace’s regular gallery hours April 19-June 23. (SCENE) Metrospace is East Lansing’s City-funded alternative art gallery and performance space. It is located at 110 Charles St. in downtown East Lansing. Visit www.scenemetrospace.com for more information about the space. This entry was posted in Exhibition, Lansing. Bookmark the permalink.